Hi everyone! 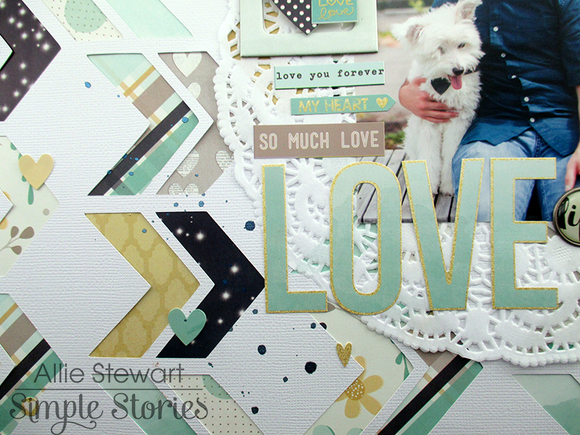 I have two new Simple Stories layouts to share, using the Life in Color Collection and the Heart Collection. For my first layout, I used the Life in Color collection. 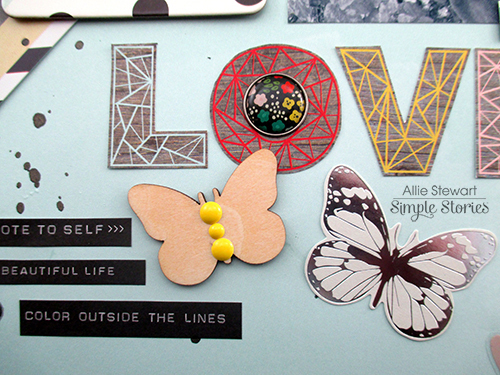 I love the string-art printed "LOVE" and wanted to use it for my title. 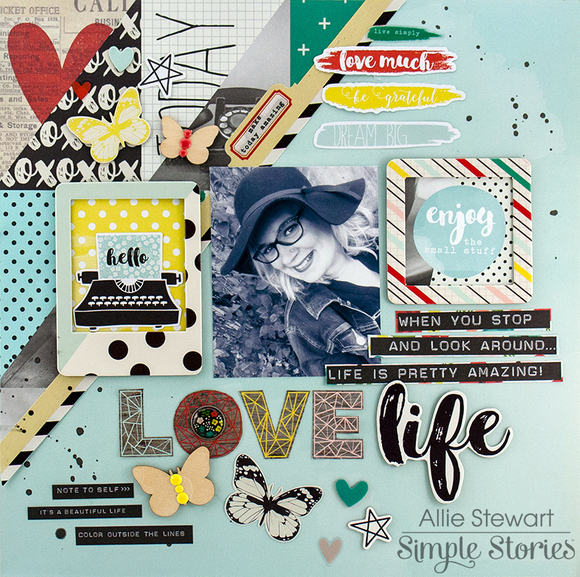 There are lots of fun quotes and phrases about living life in this collection, and so I built my layout around the theme of loving life. One of my favorite parts of this layout are the beautiful butterflies! I used chipboard, wood veneer, and metallic die-cut butterflies. For my next project, I used the Heart collection. It is a truly lovely collection, and unique in that many elements are specific to a loved one you have lost. It isn't, however, limited to that, and can be used for a variety of themes! I created a layout about Michael and Teddy using the love elements. I used the Zig-Zagged cut file from The Cut Shoppe as my background. Thanks for joining me today, I'd love if if you stopped by the Simple Stories blog to learn more about how I created these layouts!